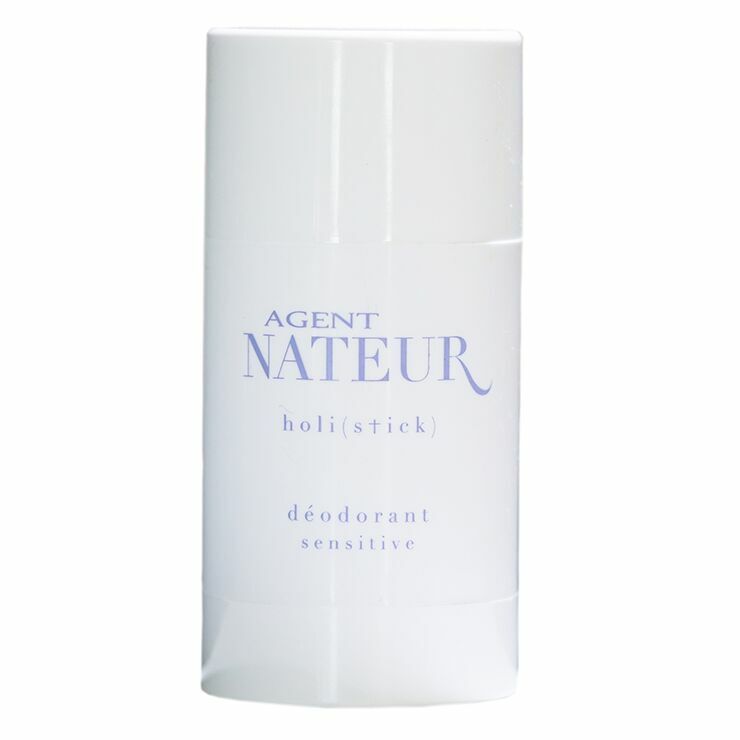 A hard-working deodorant and gentle formula can coexist — meet Agent Nateur Holi (stick) sensitive Deodorant. Free from baking soda, this deodorant is designed specifically for sensitive skin. Goes on smooth and won’t cause a feeling of irritation on application or throughout the day. Coconut and avocado oils lend a feel of essential moisture to delicate skin, while zinc and arrowroot powder keep underarms feeling dry. Neroli, patchouli, and cedarwood essential oils provide a light floral, woodsy scent that won’t overpower the senses. Possibly the most luxurious deodorant you’ll experience. Apply to clean underarms for a feeling of dryness and comfort. Reapply as desired to refresh scent.